"SpeakUp StandOut" is Allendale Public School's bullying prevention program. The mission of SUSO is to provide a safe, caring and friendly environment for all Allendale Public School students that encourages them to express who they are as unique individuals, feel accepted and valued while reaching their full potential. We encourage students to intervene when they see bullying and mean behavior. 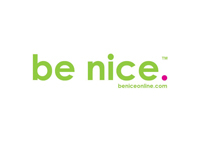 SUSO partners with be nice. in order to spread mental health awareness and the understanding that someone's mental health (how they think, act and feel) can be affected by how others treat them. SUSO and be nice. both empower students.